Waldwirtschaft literary translates to Forest Inn. The beer garden with its 2,250 seats is located in Großhesselohe on a plateau overlooking the Isar valley. 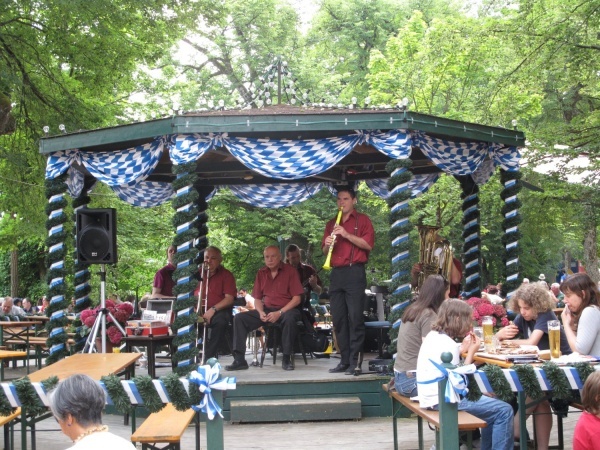 The beer garden, also known as WaWi, has jazz bands playing regularly when the weather is good. In the 15th century the Waldwirtschaft Großhesselohe restaurant obtained a license to sell beer. 1930 the Spaten brewery bought over the location. In 1995 the WaWi beer garden fought against a 9pm closing restriction imposed by the Bavarian Administrative Court on behalf of local residents disturbed by noise levels. 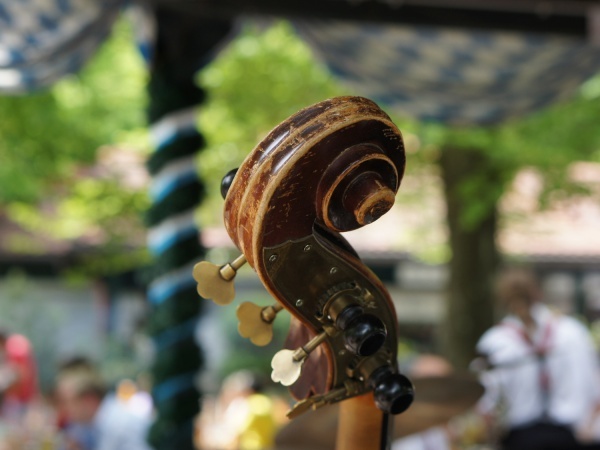 The event led to the so-called Beer Garden Revolution at which 25,000 Munich residents took to the streets of Marienplatz to demonstrate for the cause of preserving the Bavarian beer garden culture. 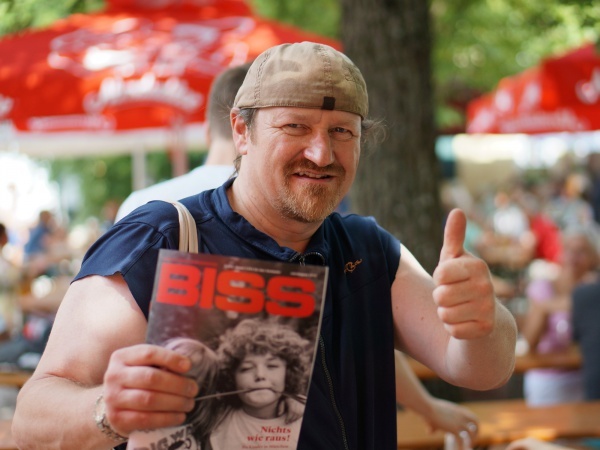 A Bavarian Beer Garden Regulation exempting beer gardens from closing early evenings in residential areas was consequently passed and now applies to all traditional Bavarian beer gardens, ie. where guests are allowed to bring their own meals. The Waldwirtschaft beer garden is now permitted to play live music until 9.30pm. The beer garden is usually packed on Sundays by lunchtime. A Maß Spaten Hell costs €8.30 (May 2018) and when one of the bands play €1 more. For those who bring their own food, the beer garden offers a barbecue station where steaks and sausages can be grilled by guests themselves. Beer Garden Revolution Documented on the Association for the Preservation of Traditional Beer Gardens website (in German). Beer Garden Revolution on German Wikipedia.org.